Looking for a Playa Blanca water park? There are two waterparks in Playa Blanca you can enjoy. You’ll find a “beach” with wave pool here, slides, ramps and the fearsome “Timan fire” which is a collection of five slides and loops. They also have a “magma river” where you can flow gently with the water in a rubber ring. There’s a restaurant, shop and changing rooms on site. This park is open to the public, 7 days a week 10:00 – 18:00. Adults pay €21 and children €14.50 to access this park and the park is also available free to guests staying onsite. You can buy one or two week pases. The Apartamentos Lanzasur are situated on Calle Gran Canaria, by Playa Flamingo. The company has invested 6 million Euros into the family theme park with the latest renewable energy technology. Inspired by Lanzarote, the rides are called Timanfaya and Magma River. This Playa Blanca water park is open everyday to the public as well as guests. Summer hours are 10:00 – 18:00 and winter 11:00 to 17:00. The price is €20 per adult and €14 per child (2-12 years old and must be accompanied by an adult). Aparthotel Paradise Island is situated on Calle Francia which is set back from the seafront by Montaña Roja and in close proximity to Lanzasur. There are some photos of the water park included on the hotel’s own website. 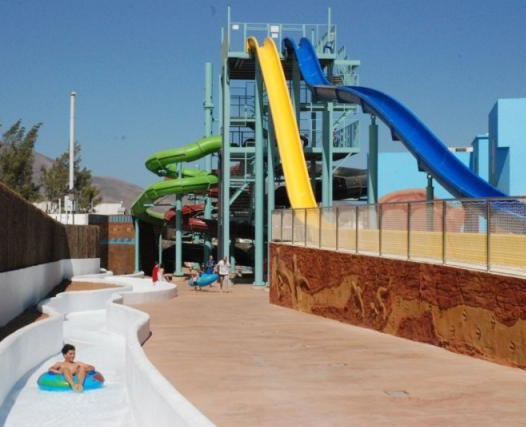 The only dedicated water park in Lanzarote open to all remains the Aquapark in Costa Teguise. Are you on Facebook? Of course you are! 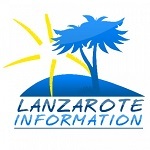 Visit our page to see several updates every day, as well as our fabulous photos and videos of Lanzarote.